The Walter Camp Football Foundation has announced the Football Bowl Subdivision National Offensive and Defensive Players of the Week, presented by Generation UCAN, for games ending September 16. 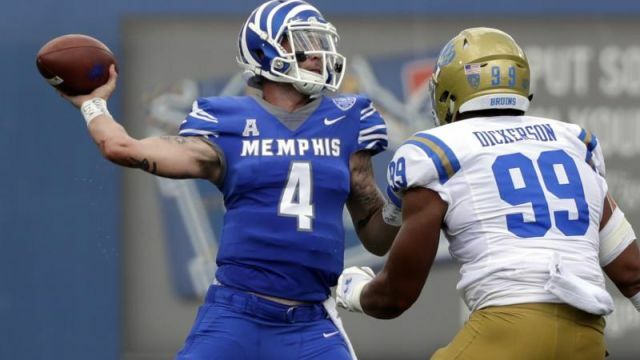 Riley Ferguson threw for 398 yards and six touchdowns as Memphis defeated 25th-ranked UCLA, 48-45. Ferguson completed 23-of-38 passes as the Tigers improved to 2-0. Ferguson’s three-yard scoring toss with 9:56 remaining in the contact was the game-winning score. Notes: Riley Ferguson is the first Memphis player to earn Walter Camp National Player of the Week honors since the award began in 2004. Micah Kiser recorded a game-high 15 tackles (7 solo) and had two quarterback sacks and one fumble recovery as Virginia defeated Connecticut, 38-18. With the win, the Cavaliers improved to 2-1. 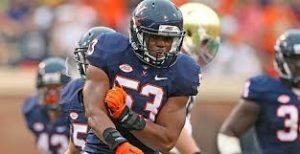 Notes: Micah Kiser is the third Virginia player to earn Walter Camp National Player of the Week honors since 2004, joining Marcus Hamilton (DB, Nov. 21, 2004) and Anthony Harris (SS, Sept. 2, 2013).